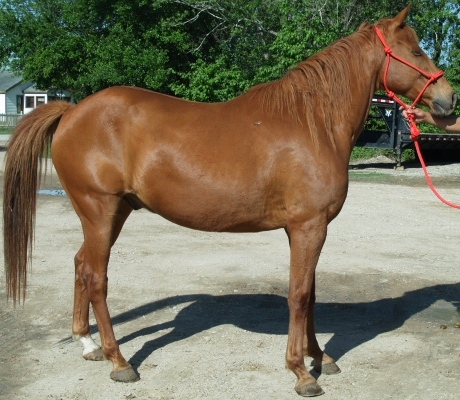 Standing at 15+ hands, Chino is a stunning sorrel gelding. 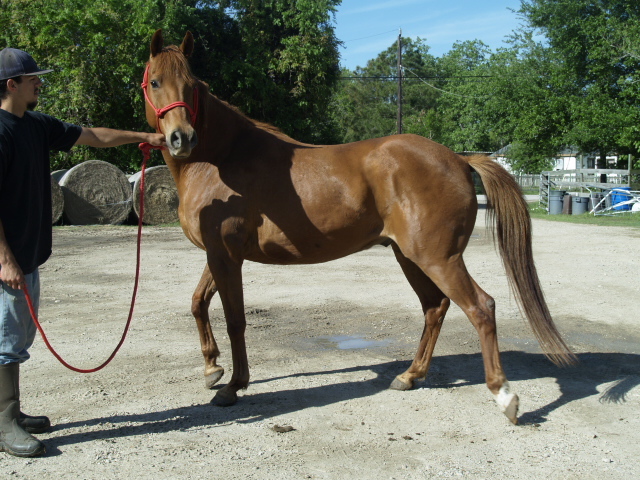 He has a calm and gentle personality on the ground and will readily accept and interact with human attention on the ground. He also adores treat time and being groomed. 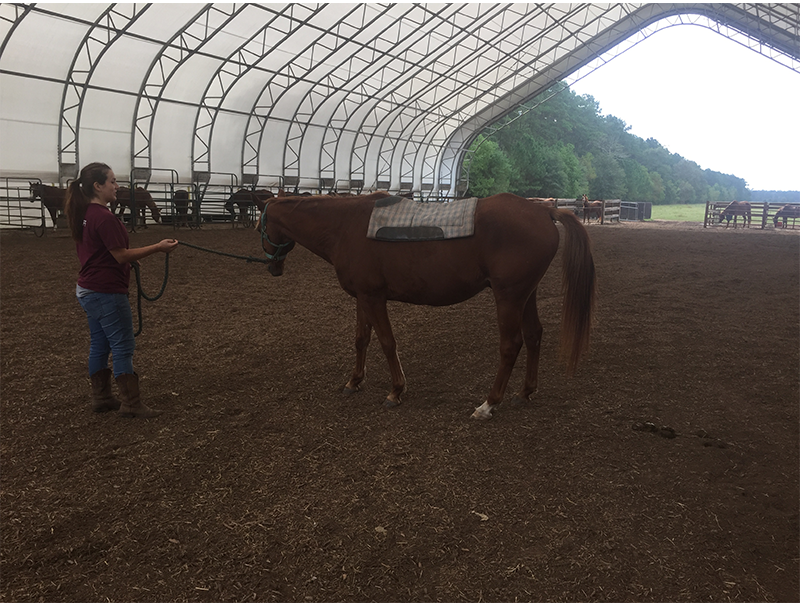 He arrived at Habitat for Horses unrideable, but has been worked with by our trainers onsite. He is learning to adjust to having sight only in his left eye. 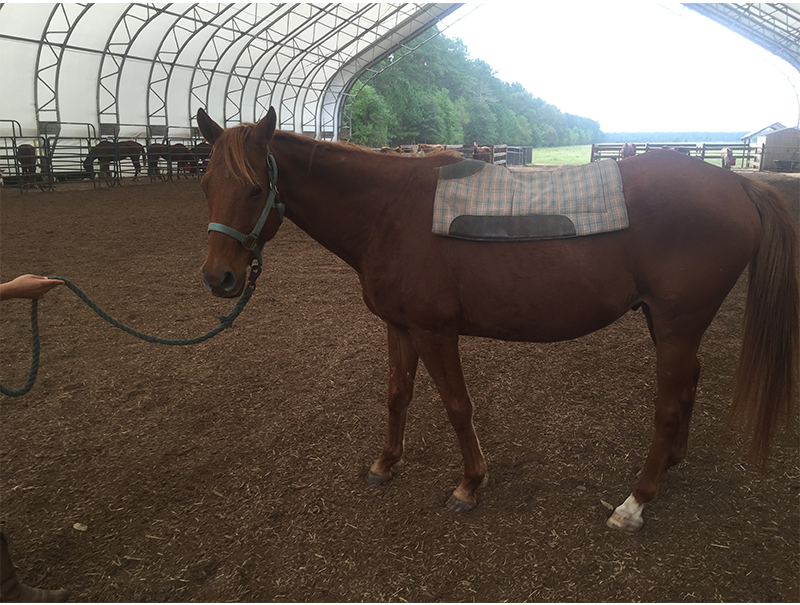 He will crow hop some when transitioning from a trot to a lope but is getting better with each session. 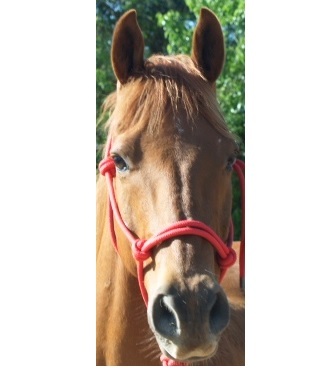 With continued gentle and consistent training, focusing on fine tuning his riding skills, and with special consideration of his loss of sight in his right eye, Chino will soon become a trusted and loving member of any family. 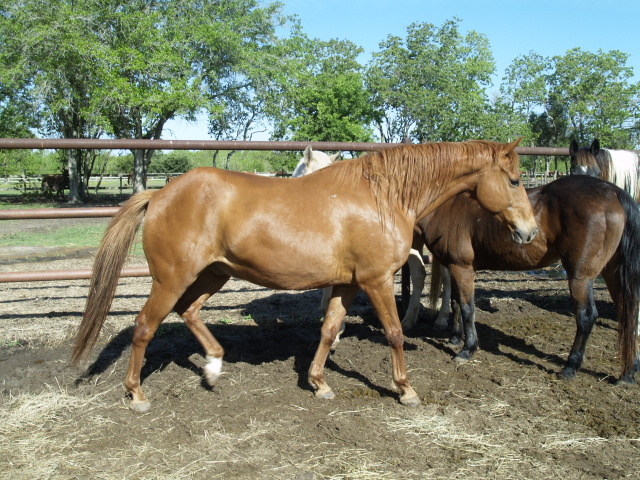 He also bonds easily with a dominant mare in a herd setting and is very docile within his herd.